If you’re a parent, you want what’s best for your child. So, what developmental milestones should you look for to make sure they’re on track for success? Here are some common developmental milestones at 9, 18, and 24 months, plus what to expect for check-ups and screenings, based on our expertise as family medicine practitioners. Your baby probably has also started putting objects in their mouth to explore their taste and texture. This may also be a sign that your baby is about to start teething - the first tooth usually comes in around six months, although it may come in as early as three months, or later (especially if your baby is a preemie). What should you expect at your baby’s check-up? In addition to measuring their progress against developmental milestones, the staff will weigh your baby and the provider will perform a physical. It’s also time for your baby’s first blood test - this is used to check for anemia and exposure to lead. According to The Bump, “approximately 3 percent of children under the age of two have iron-deficiency anemia,” and children “between the ages of 9 and 18 months are at the greatest risk” of developing it. At 18 months, your baby is now a toddler. What milestones mark 18 months? He or she can say a few words, and shake their head no. (Wondering how your child’s language develops? (Check out this guide to speech milestones from Baby Center). Your toddler can also walk alone. They may also be able to run, or walk up steps, so if there are places you want them to stay out of, consider setting up gates. How does your toddler play? At 18 months, your toddler may show interest in dolls or stuffed animals, and pretend to feed them. They may also color or scribble on their own. What should you expect at your toddler’s 18-month check-up? In addition to a general developmental screening, the CDC also recommends an autism screening at this age. The biggest sign of autism at 18 months? Delayed speech development, which your child may try to compensate for by pointing or making faces. Remember, if you have concerns about your child’s development, don’t wait - reach out to your provider! It’s always better to ask, and catching warning signs early can help your child thrive. Your two year old may mimic other children and adults, and begin to repeat words they hear you say. They may also point to and name items they see in a picture book. Two year olds often enjoy playing make-believe. Your two year old should also be running, and may throw and kick balls. They also might be more interested in interacting with other kids, but may still struggle with sharing. In addition to a regular developmental screening, it's also time for another autism screening when your child hits the 24-month mark. Wondering about signs of autism at 24 months? Two year olds with autism may not use two-word phrases or gestures. Your toddler may also play in unusual ways, or seem content to play alone. Autistic children may also be overly sensitive to different kinds of stimulation, like loud noises. Learn more about the early signs of autism in this Baby Center article. 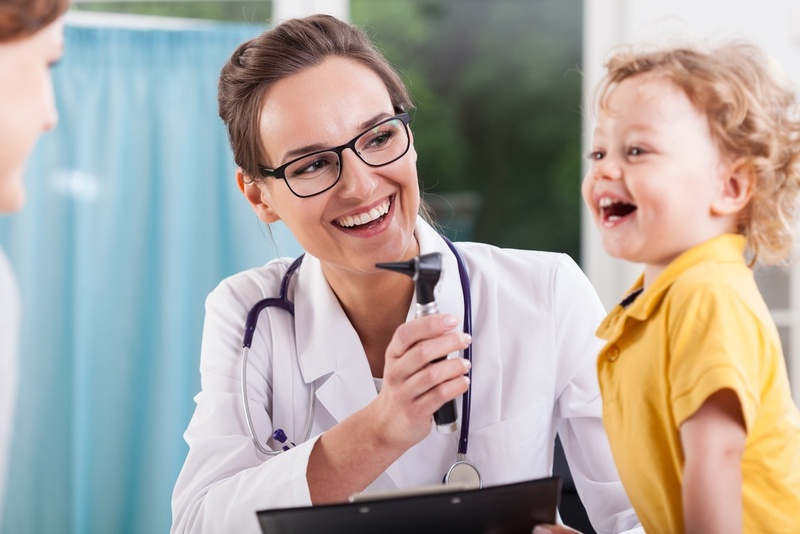 Set Your Child Up for Success - Schedule a Check-Up Today! Early screening is often the key to helping your child develop well. Looking for a doctor for your child? Schedule an appointment with one of our friendly family medicine doctors today! We’ll help you set your child up for success.